A BTEC Level 3 qualification is no different to A Levels when it comes to applying to University. If you've heard anything on the grapevine that says otherwise, feel free to ignore it! BTECs are just as valuable as A Levels, and nationally BTEC students are performing better than those taking A-levels! So yes, if you didn’t already know, you can get into uni with a BTEC and if you haven’t applied yet you can make an application through Clearing as soon as you get your results, which is up to a month earlier than A Level students. Three reasons why BTECs are great! You'll have gained skills from doing a BTEC that others won’t have, so this makes you stand out from the crowd and prepare you for university. From doing the BTEC, you will have organisational skills, the ability to meet deadlines and experience of working within the industry through placements. BTECs work in a similar way to university courses. They both follow the familiar pattern of deadlines, essays, coursework and research, which means BTECs actually prepare you for university life. On top of that, you’ll also have the industry experience through placements, which will give you a better idea of how theories work in practice and support your application. The reason I got into university was because of my BTEC in Travel and Tourism, not my A Level in Media, so without the BTEC I wouldn’t be studying here today. BTECs are just as credible and desirable to admissions officers at the majority of UK higher education providers (95 per cent), according to Which? University. More than 100,000 BTEC students apply to UK universities each year, so don’t worry about not having done the more traditional A Levels. To most universities, A Levels and BTECs are of equal worth. Take a close look at the entry requirements for your chosen course. Does the course need a mix of BTECs and A Levels? Do you have the UCAS tariff points? Do you think you’ve achieved anything in your practical experience that might make you eligible despite falling slightly below the entry requirements? Make sure you carefully research the entry requirements for any courses you’re interested in studying so you’re aware of what kind of BTEC qualifications we’ll look at. You should also look at if the course is a good fit for you. Are you suited to the mix of coursework and practical elements you experienced in your BTEC? If so, take a look at the course and see if it is taught in a similar way, but don’t worry if what you want to do is more academic than you’re used to. 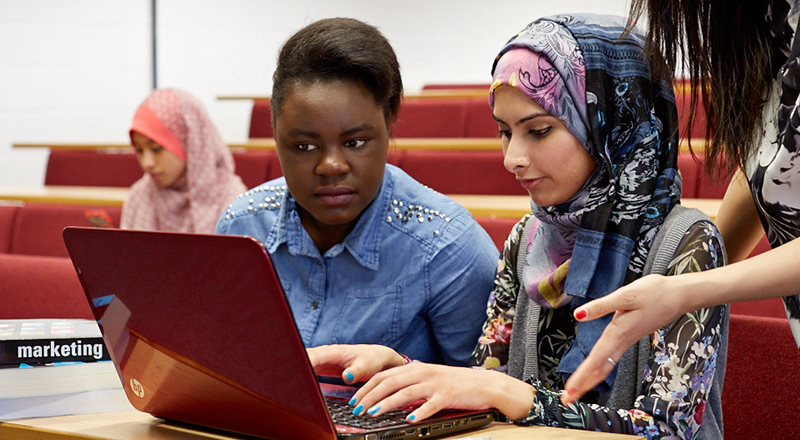 There’s lots of support available at Birmingham City University to help our students get to grips with undergraduate study – from our teaching staff to our dedicated Centre for Academic Success team. And the best thing about BTECs? 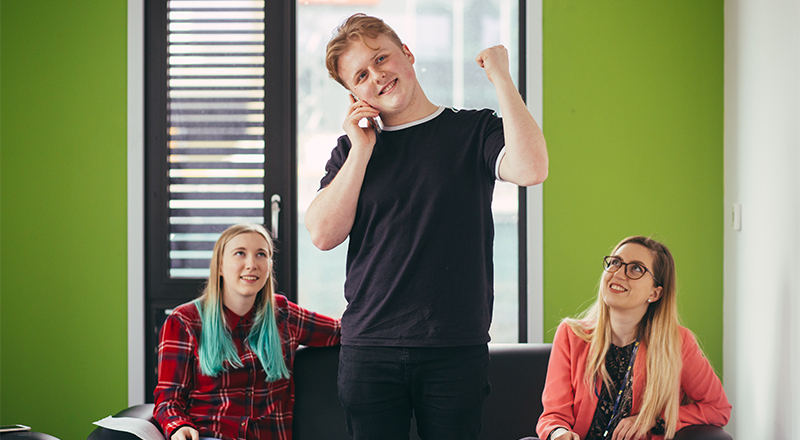 If you’re a BTEC student who already has their results and want to apply for a place in September 2018, you don't have to wait until A Level Results Day to apply. A major advantage of taking BTECs is that you get your results around one month earlier than A Level students. That means that you don't have to wait and can take advantage of the chance to apply from the beginning of July where you'll have the pick of the litter of available Clearing courses. After 10 minutes, I got a place on the course for me. I went ot the open days, checked everything out, took all my friends with me and it was all okay! Hafsa applied early through Clearing. Check out her story.